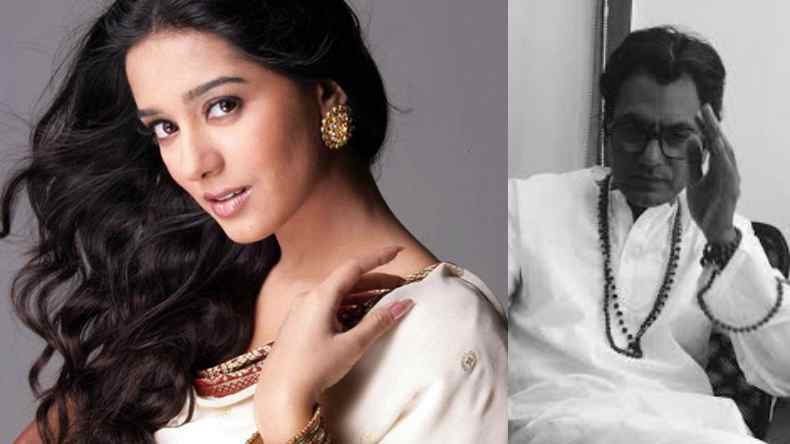 Amrita Rao will reportedly essay the role of Balasaheb Thackeray's wife Meenatai in the upcoming biopic starring Nawazuddin Siddiqui in the lead role. The actor was last seen in the superhit movie Jolly LLB. The Abhijit Panse directorial, Thackeray is scheduled to release on the birth anniversary of Balasaheb Thackeray. The Vivaah actress will soon be back to the Bollywood town with a significant role in the upcoming biopic of Balasaheb Thackeray titled as Thackeray. Reportedly, the beautiful Bollywood actor will play essay the character of Balasaheb Thackeray’s wife Meenatai in the film. She debuted in Bollywood with the movie Ab Ke Baras in the year 2001 but came to limelight with the college romance drama pack Ishq Vishk in the year 2003, in which she was featured against Shahid Kapoor. Known for the innocence and grace, Amrita Rao has a lot of hit movies under her name like Masti opposite Vivek Oberoi, Main Hoon Na where she starred with Shah Rukh Khan, Sunil Shetty, and Sushmita Sen, Vaah! Life Ho Toh Aisi, where she was featured with Shahid Kapoor again. After a long break, Amrita is all set to bring herself on track with this upcoming biopic. The biopics are coming out as the new trend and hit factor of Bollywood therefore, this is the most appropriate time for the pretty lady t0 step in with a comeback. the media reports say, the producer of Thackeray said in an interview that the role assigned to Amrita Rao is of Meenatai, who was never into politics but she was the glue of the family who bounded everyone in one thread. The producer, Sanjay Raut also said that people will realise that she is best suited for the role after they see her on screen. Adding up to the information, the producer of the biopic, Sanjay Raut mentioned in the interview that Amrita and Nawazuddin Siddiqui share a good bond and the beautiful actor has already finished shooting her portions. An Abhijit Panse directorial, Thackeray is apparently shot in 2 languages – Hindi, Marathi and is dubbed in English. Amrita Rao fans need not wait very long as the movie slated to release on January 23, 2019, on the occasion of Balasaheb Thackeray’s birth anniversary.